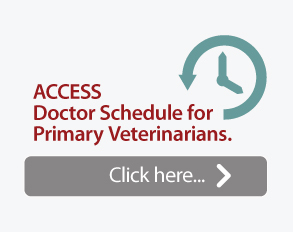 Dr. Heather Luce is an emergency veterinarian who obtained her B.S. at the University of Connecticut and then a DVM degree at the University of Florida in 1999. 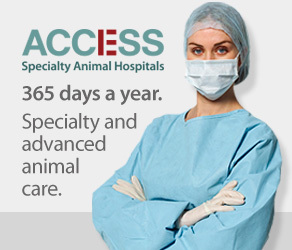 While initially focusing on large animals, she returned to her Connecticut home a few years after graduating, where her efforts shifted to small animal medicine. When an overnight ER position opened up at her first general practice’s hospital, this independent night owl took the opportunity and never looked back. Heather has been practicing emergency medicine since 2003 in Connecticut and then moved to Southern California to join her family in 2014. 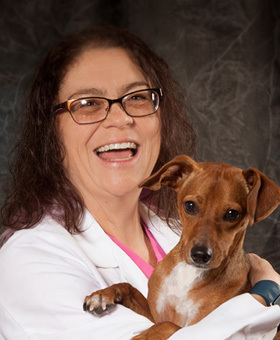 Her small animal experience includes working in several large multiple specialty hospitals, a few smaller after-hours only clinics, some general practices, and vaccine clinics on both coasts. Heather is an upbeat person who prides herself on her ability to stay calm in a medical crisis. She will quickly assess the patient and direct staff to appropriate treatment efforts in those patients that need urgent attention. 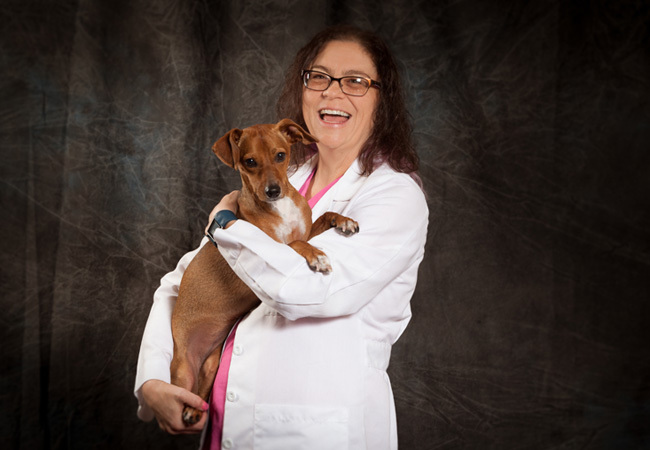 Heather also works hard trying to take the time to educate her clients about their pet’s condition and how to best help them now and in the future. Heather is a single mom who lives with her family to help raise her young daughter. They have four feline friends named Ramsay, Pip, Squeak, and Skittles who get along really well…for the most part! She and her family love the sunny, breezy California weather, local farmer’s markets and beaches. They hope for years of continued health and happiness in Southern California. 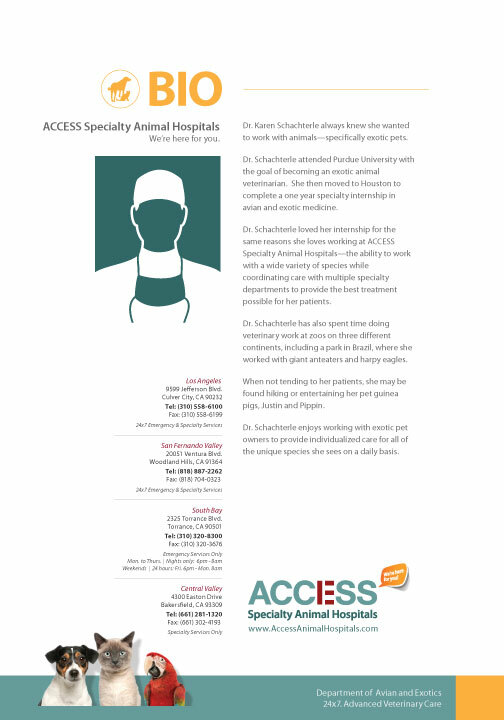 Click on image to download Dr. Luce’s Bio.